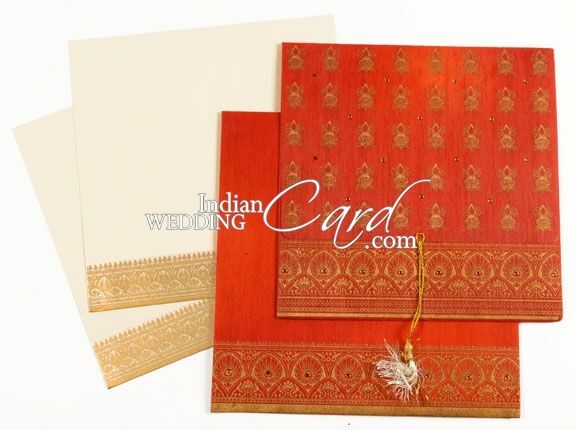 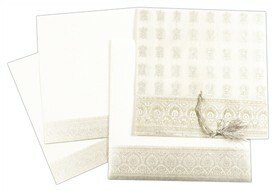 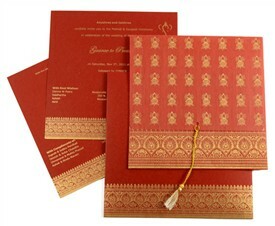 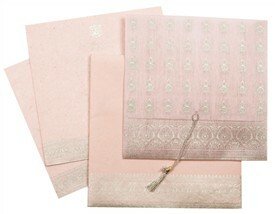 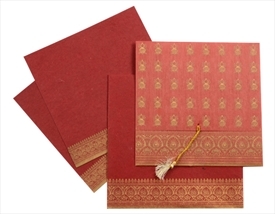 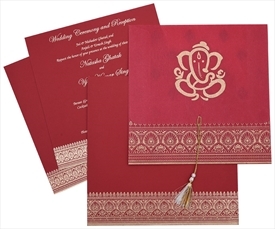 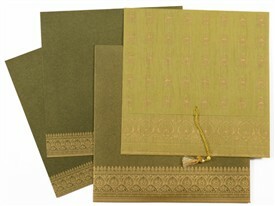 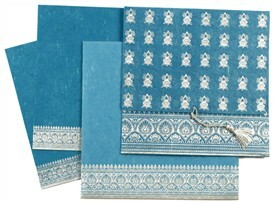 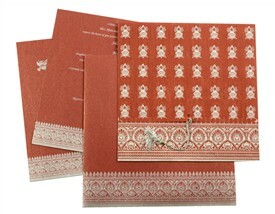 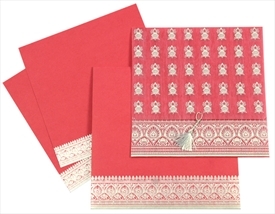 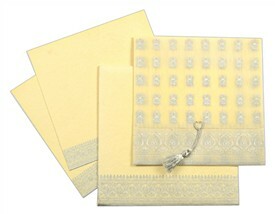 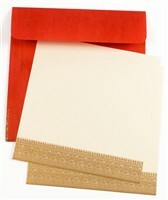 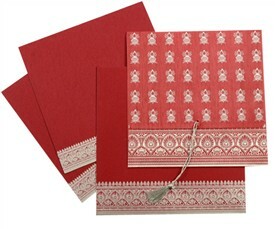 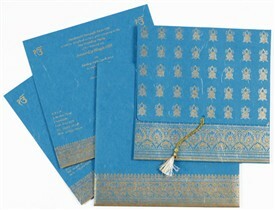 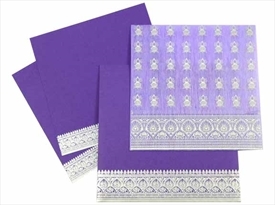 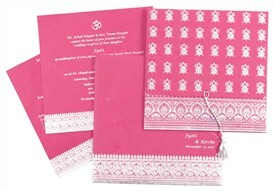 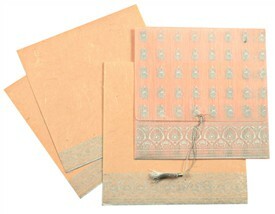 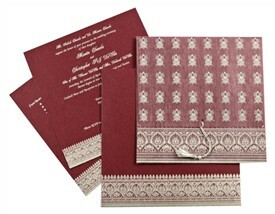 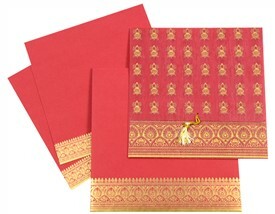 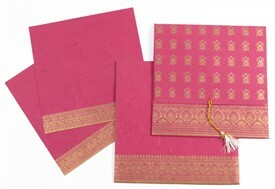 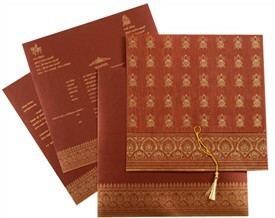 D-761, Orange Color, Light Weight Cards, Hindu Cards, Designer Multifaith Invitations. 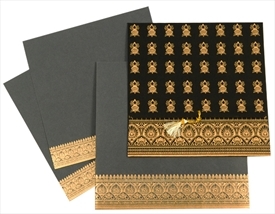 The front of this folding card has the upper fold with rows of kalash symbols printed in gold and kundan work in between them. 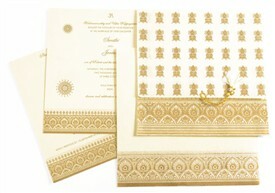 The lower fold has an ornate border design in gold with kundan work. 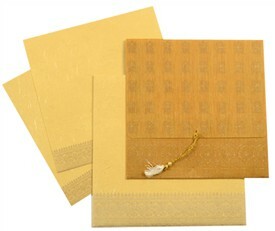 There is a golden Zari tassel tied to the front for additional beauty and use. 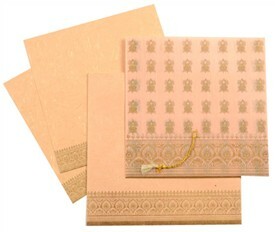 The inserts have border design similar to the front in gold and peach. 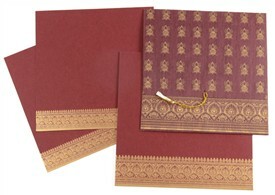 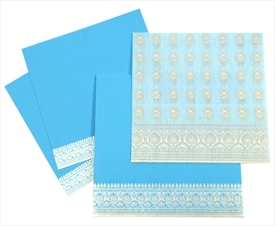 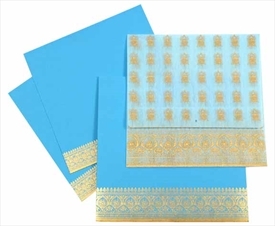 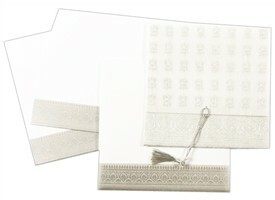 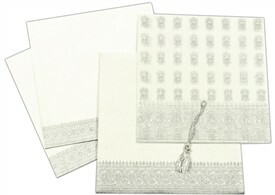 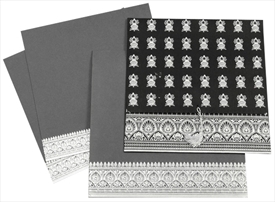 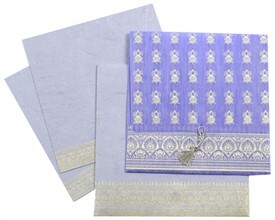 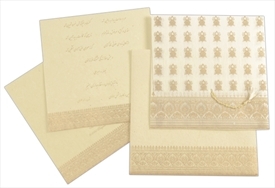 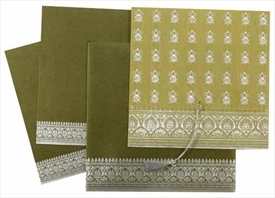 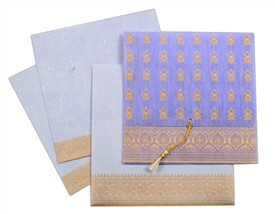 The envelope has golden border design with kundan dots.